Since the attack in Paris last November, French authorities have visibly stepped up their efforts to tackle home-grown terrorism. On Wednesday, the French National Assembly voted in favour of the controversial new bill that would change the country’s constitution, so as to facilitate the government’s battle against domestic terrorism. In order to be enacted, the constitutional amendment still needs to achieve a majority vote in Congress. This bill would entrench the enactment of a state of emergency into France’s constitution and extend the government’s powers to revoke the nationality of people who face terrorism charges. Currently, French authorities are only allowed to strip binational persons of their citizenship status if the status was acquired through naturalisation or registration. 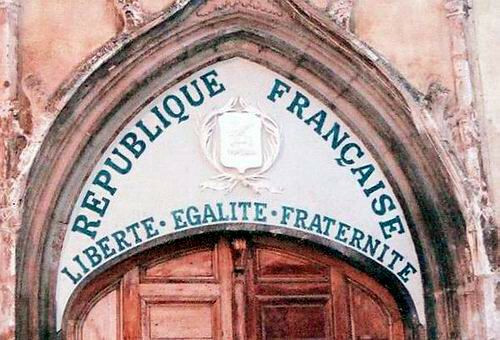 This constitutional change would widen this power by allowing authorities to revoke the nationality of native-born French citizenship holders. The UK is one of the few Western countries that can revoke citizenship. In 2014, the British government passed a legislation that permitted authorities to revoke the nationality of British citizens with no second nationality, provided that they were naturalised as adults. As flattering as it is that France has looked up to the UK’s model as a benchmark for its new legislation, it seems to have picked up the most dysfunctional part of our counter-terrorism efforts. The adoption of the bill’s measures would not only raise legal, social and political questions within France, but could also adversely impact the UK’s counter-extremism efforts. Legislation of this type has proven to be ineffective so far both in the UK and abroad, as it does not tackle the source of the problem. Stripping terrorists of their citizenship status will not make them change their minds, but will simply export extremism to other countries, which might be even less experienced in dealing with radicalised individuals. From a security perspective, it could thereby further aggravate the terrorist threat in the long term. Furthermore, the measures would likely give rise to new grievances in France and beyond, play into the hands of extremist recruiters’ ‘us against them’ narratives and fail to address the ideological roots of extremism. The bill’s negative side effects on social cohesion could be echoed all across Europe and in the United Kingdom. On paper, the reference to dual-citizenship holders that marked the initial bill was removed in response to criticism over the measure’s discrimination against individuals of dual-nationality. However, French authorities would in practice most likely refrain from violating international law by making people stateless. Therefore, the legislation might de facto only be applied to binationals and hence disproportionally target diaspora communities from France’s former colonies. This could add another factor to the long list of grievances these communities have suffered as a result of both historic marginalisation dynamics and recently burgeoning far-right extremism, which we know to be exploited by radicalisers. The combination of boosted state of emergency capacities and extended nationality deprivation powers could therefore feed into the narrative that the West is at war with Islam, which extremist organisations have effectively used for their recruiting activities across the world. As France’s niqab ban demonstrated, even drastic measures that only impact a small number of individuals can have an exponential effect and mobilise masses. Even though only around 300 women were directly affected by the niqab ban, the policy’s backlash from Muslim-majority communities was colossal and echoed all around the world. The regressive nature of this constitutional revision demonstrates that the debate in France is currently going into the wrong direction. In short, the bill would violate civil liberties while simply outsourcing the problem of dealing with violent extremists to other countries. We must take proactive, progressive steps to tackle the full-blown jihadist insurgency Europe is currently facing. Instead of increasing securitisation efforts and firefighting within their own borders, France and the UK should combine their forces to enhance deradicalisation programmes and extremism prevention initiatives across borders. This would make both countries safer in a way that is actually sustainable.